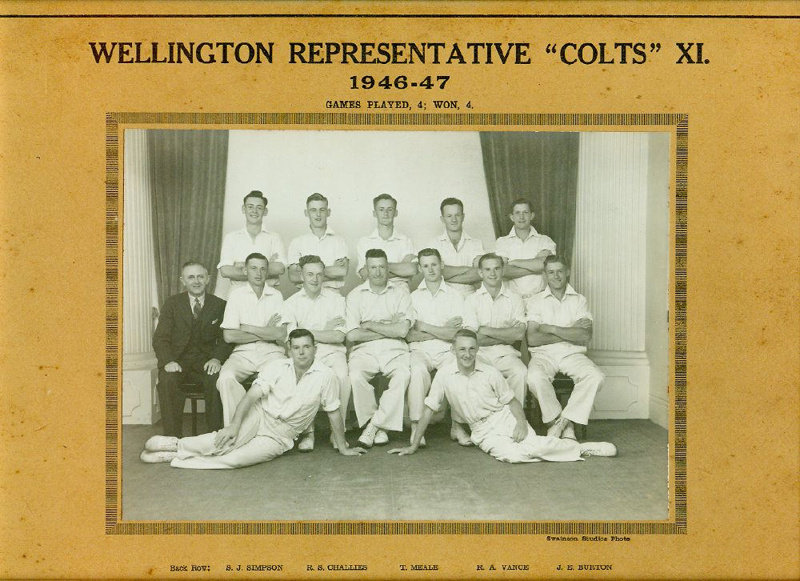 About this objectA photograph of the Wellington Colts XI for the 1946-47 season. Games played 4; won 4; mounted on a brown non-archival mount board. Front Row, L-R: EW Dempster, RS Gray.